Do Lemons Make You More Alkaline? I'm feeling terrible today. I got sick and before I fully recovered I got worse. 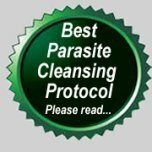 I know I have parasites and am on a detox. Things get difficult for me when I get sick because I can spiral downward instead of getting better and I'm not even back at work yet. I've heard lemon and water in the morning is good for detoxing. I want to hurry things along. Will lemon make my ph balance worse or more alkaline? Confusing how it works because you would think lemon is acidic but I've heard it's good for us. I don't want to go on antibiotics but think I may have to because my immune system doesn't seem to be very good lately. Even though lemon juice is acidic, once it is processed by your body the "ash" is alkaline, which is what you want. Even better than lemon juice and water is raw organic apple cider vinegar in water. Apart from helping to improve your body pH levels, it also has many other health benefits. Bragg's apple cider vinegar is a good brand and is usually available in most grocery stores or health food stores. 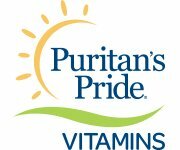 You can also pick up a bottle online from Puritan's Pride . 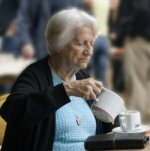 Antibiotics do not improve your immune system! They make your immune system even weaker by killing off what good bacteria is left in your system. To strengthen your immune system, you need to give your body those things that boost the immune - good nutrition and probiotics. If you aren't taking any probiotics (the good bacteria your body needs), get some asap. I recommend Florafood. To improve your nutrition on a daily basis, consider using whole food supplement powders like the Garden Trio. They are freshly juiced vegetables (Carrots, Beets, and Barley Grass) that are dried to lock in their nutritional goodness so that you can use it as needed. I love them! Incidentally, the Barley Life is very effective at making your body more alkaline, too. I think you'll find that regular use of the Garden Trio and Florafood will keep you much healthier overall.